If you can successfully grow houseplants, you can grow orchids by changing a few habits in terms of watering, potting media, and light. Click on the links below for instructions that will keep your exotic orchid plants growing, blooming, and bringing you pleasure for many, many years to come. After you finish reading below, come back and see our Orchid Videos. “My orchid has been doing great, but now its roots are coming out of the pot and growing everywhere.” How do you re-pot an orchid? 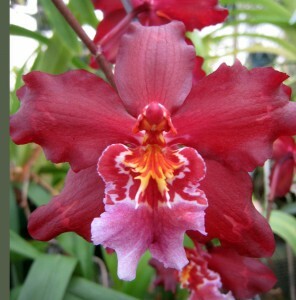 We urge you to register on our OrchidTalk Orchid Forums and post your questions there. OrchidTalk registration is free, and our members from all over the world will gladly assist you with your orchid growing concerns! 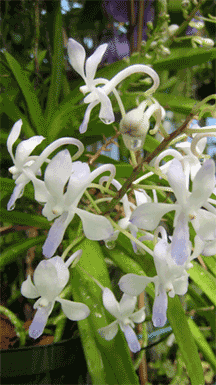 RVO Articles on Orchid Culture! Orchid Flowers: How long should they last? Orchid Viruses: Cultivate good cultural habits! Orchid Labels: How to decipher your orchid’s name tag! Orchid Roots: When to Repot your Orchid! Home Orchid Repair: Home Care for your Orchids! Orchid Fertilizer & Light Levels: How to tell if you are giving your orchids enough fertilizer and light! Contact Us! – Or better still, REGISTER on in our OrchidTalk Orchid Forum and get expert answers to your questions FAST & FREE!